Pre-rock conditions | West Coast Drywall Construction Inc. This photo (Mill Creek Village Apts.) 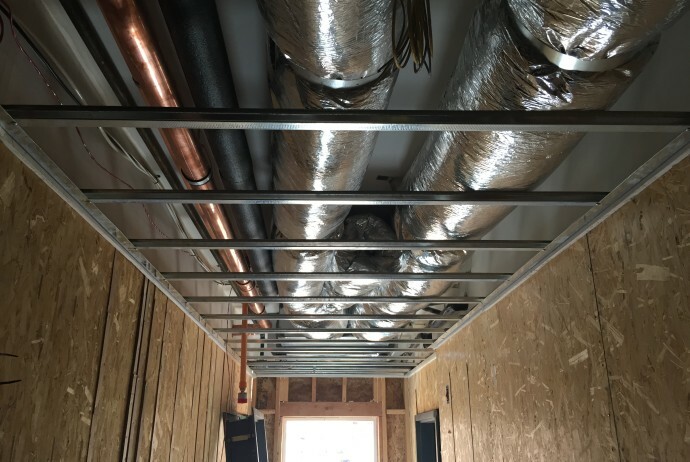 shows all the drywall pre-rock installed above the ceiling before the ductwork, sprinkler pipes & plumbing lines can be completed. This is necessary to maintain the 1 hour fire rating between floors on multi-story projects.